I am happy to announce that version 0.0.5 of the Gears 2.0 script is now available on GitGub. 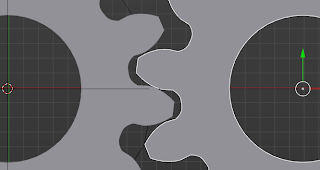 Its main new feature is the option the create involute gears, the most widely used tooth shape in modern gearing designs. Due to ongoing backproblems my time behind a desk is severely restricted. This does mean that while the code presented in this article is actively developed, progress will be slow. This is not necessarily a bad thing because it forces me to think things through thoroughly and discuss them at length with the community before actually implementing them, which probably will lead to better code in the end. 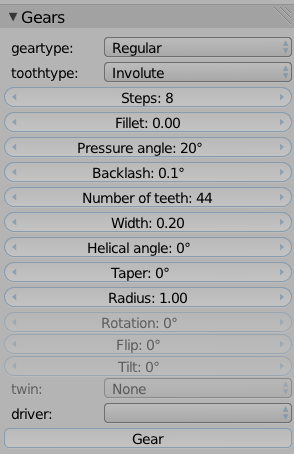 Although I do not approximate the involute curve of the tooth with splines, this article was invaluable in getting the equations correct without trying to find it out all by myself. 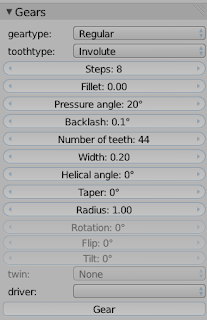 An example set of parameter settings is shown at the end. The script is discussed on this thread on Blenderartists, feel free to comment there. It also has its own entry in Blenders upload tracker. File->User preferences->Addons->Install from file and don't forget to check the checkbox to actually activate it. 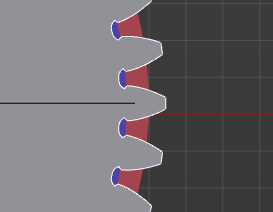 As the example below shows for a 44 teeth gear of radius 1, the fillet/undercut needs some work (it's too wide/deep) but the shape of the involute tooth itself seems ok. The read circle is the pitch radius, the blue circle the base radius (that is pitch radius * cosine( pressure angle )). I was trying to do the same. 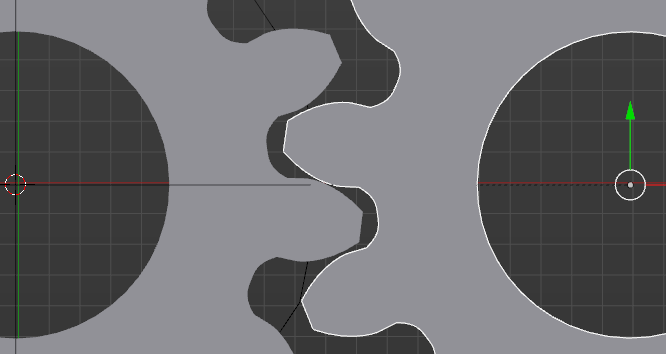 I'm trying to do gears from cicloid curves. After to prove your script, can do auto constraint rotation... can sharing with you?